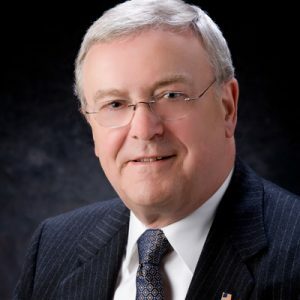 is a 2018 inductee as an Industry Pioneer in the Hall of Fame established by the Oilfield Energy Center with a citation that reads: Lovie immigrated from Scotland at age 29 and started Engineering Technology Analysts, Inc. (ETA) in 1970. Four years later he secured a contract to design the two world’s largest jackups with 508 ft. long legs for the North Sea: one remains working in 2018. Lovie challenged the established jackup designers of the day with his patented leg design which featured lighter & stronger legs with cast steel joints. Twenty-one other ETA designed jackups were delivered 1976-1982 with thirteen in service today. Other established builders utilized ETA’s leg chord design to produce twenty-eight jackups. READ MORE ABOUT THE AUTHOR! 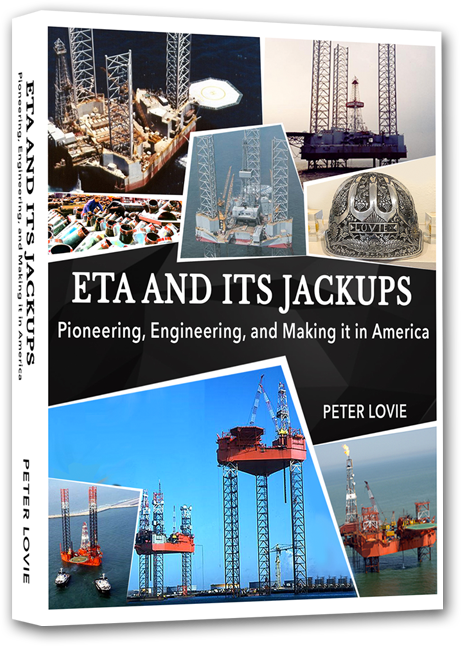 In this tell-all reflection, Engineer and company founder Peter Lovie uncovers ETA’s dynamic history. With its ambitious team of engineers and innovators and its groundbreaking concepts and designs which pushed the limits of what was possible for jackups in the ’70s, this up-and-coming Houston-based startup went head-to-head with the Big Four established designer-builders of its time. Despite modest beginnings and only seven years in operation before its controversy-ridden collapse, ETA carved a prolific legacy into the industry with its design of its Europe Class jackups and the introduction of cast steel joints and pioneering leg chord design. Even long after ETA’s downfall, the longevity of its designs and the borrowing of its concepts by other companies prove the depth of its impact. Simultaneously personal, technical, and critical, Lovie reveals the inner workings of his company—from original, never-before-seen design drafts to its challenges, successes, contributions, and modern parallels. 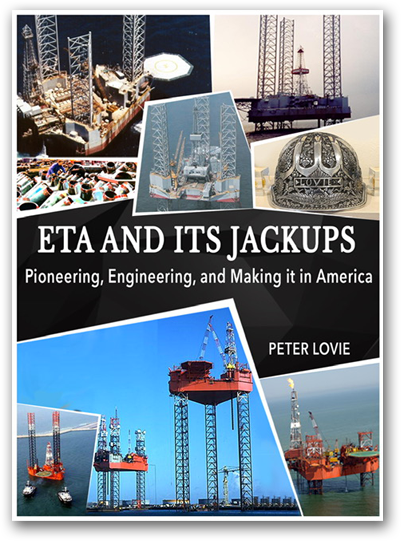 ETA was awarded five US patents but only one was used in the actual jackups built. The other four patents were about some of the wild ideas ETA dreamed up. Despite modest beginnings and only seven years in operation before its controversy-ridden collapse, ETA carved a prolific legacy into the industry with its design of its Europe Class jackups and the introduction of cast steel joints and pioneering leg chord design. Even long after ETA‘s downfall, the longevity of its designs and the borrowing of its concepts by other companies prove the depth of its impact. Simultaneously personal, technical, and critical, Lovie reveals the inner workings of his company– from original, never-before-seen design drafts to its challenges, successes, contributions, and modern parallels.